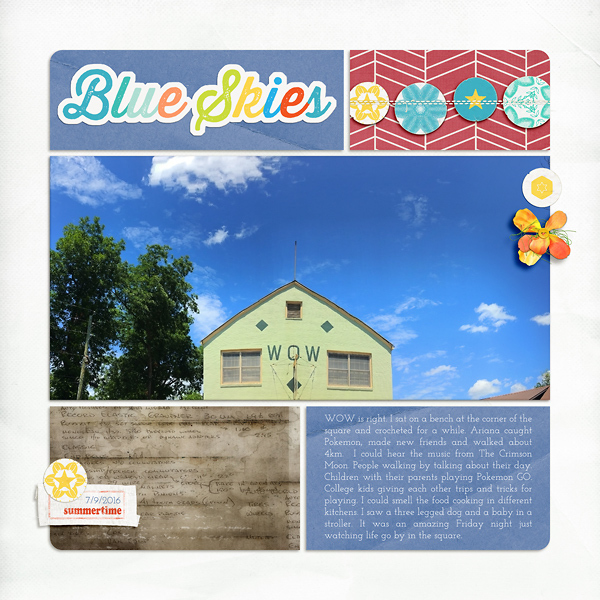 Today I have two brand new products for you: some page templates and some stash-worthy photo strip templates. Enjoy the 20% new release discount on these products through Sunday, July 31, 2016. All About the Frames Templates 3 has a variety of photo spots, but all the photos are framed up with lots of different styles of frames. Clip papers to them, or replace them with elements from your kits. 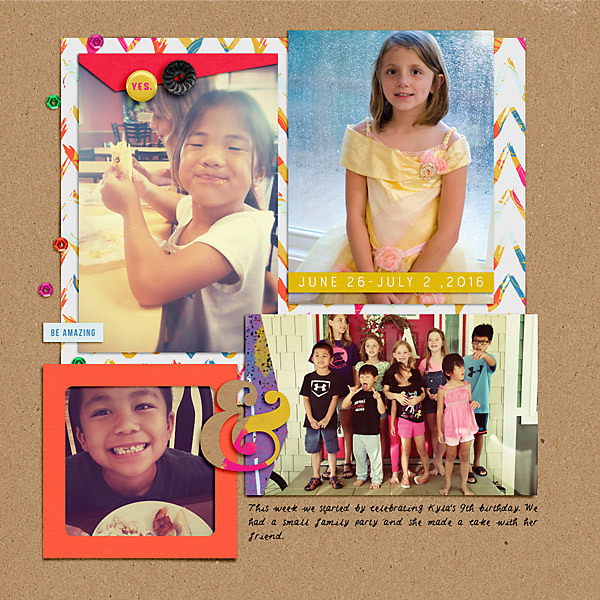 These are some fun templates! 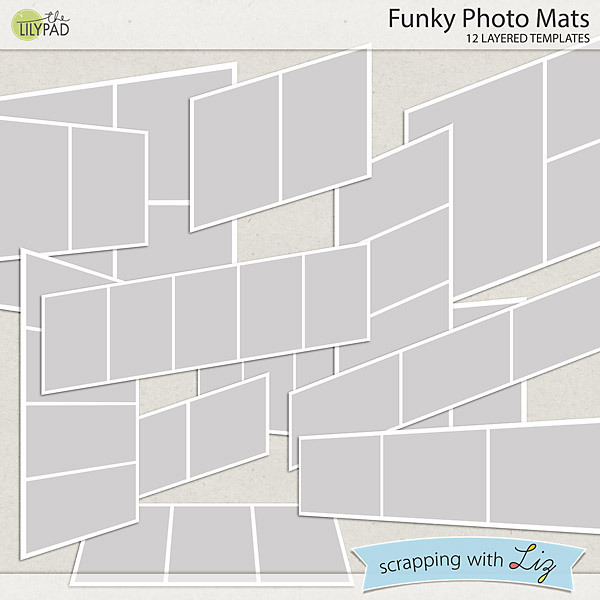 Funky Photo Mats comprises 12 different photo strip style templates. 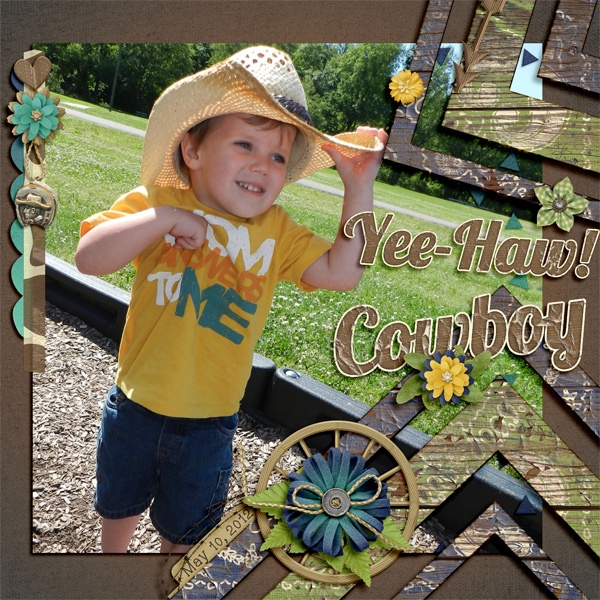 These have between 2 and 5 photos apiece, and are angled for a fun presentation of your pictures. Tiffany scrapped a celebratory day with All About the Frames Templates 3. And Donna scrapped about her travels. And here's a gorgeous page by Ellen. This week I sent my oldest girls off to overnight camp for the first time. I was off all week. How do you moms send your kids off to college? I just don't know how I'm going to do it. The three littles and I spent the week playing games, walking, reading, and then Kyla sprained her ankle pretty badly and spent the rest of the week on the couch where we colored, played more games and learned how to draw horses (I bought this awesome $2 how to draw horses DVD back a couple months ago at a book sale - it saved the day!). It really was fun being home with the 3 younger ones, but I missed my older girls terribly. The cousins did come home with us after church and we all squeezed into our new van. I also completed my 2017 July calendar topper. 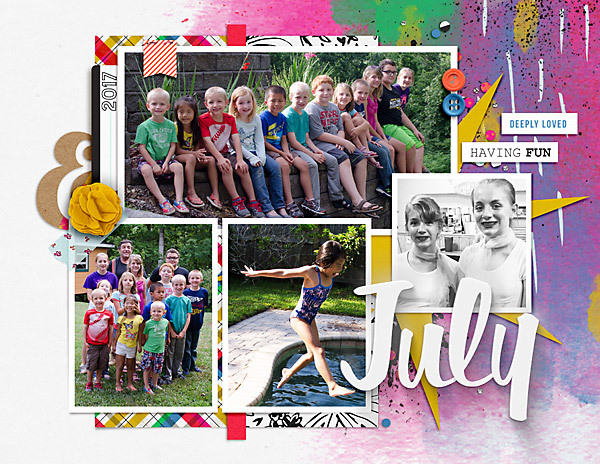 I just love the bright colors....and all of those kids! 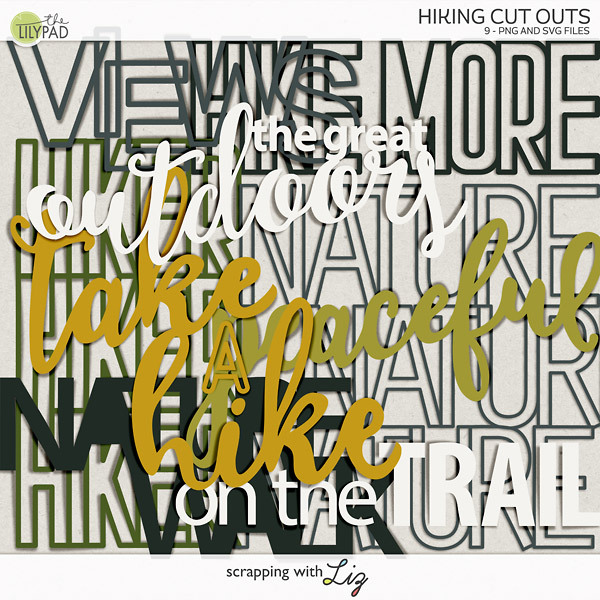 What have you scrapped lately? 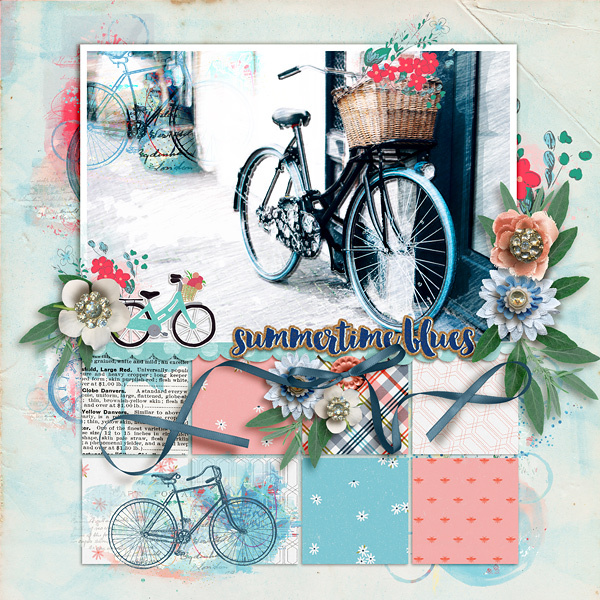 50% Off One Day Only - Focal Points, Cards and Brag Book! Today I have two sets of revisited card templates, as well as one of my Focal Point sets, which are very popular. Enjoy the 50% SOSN discount on these products today only, July 27, 2016. 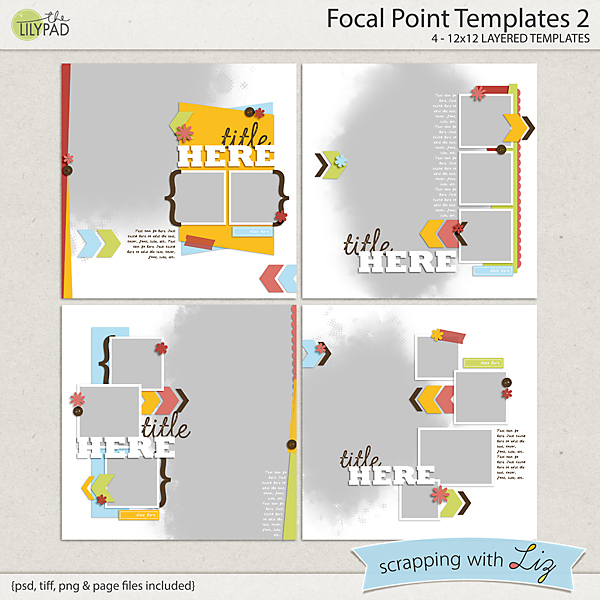 Focal Point Templates 2 features large masked background photos with some smaller supporting photos layered on top. You will also find paper edging and chevrons. 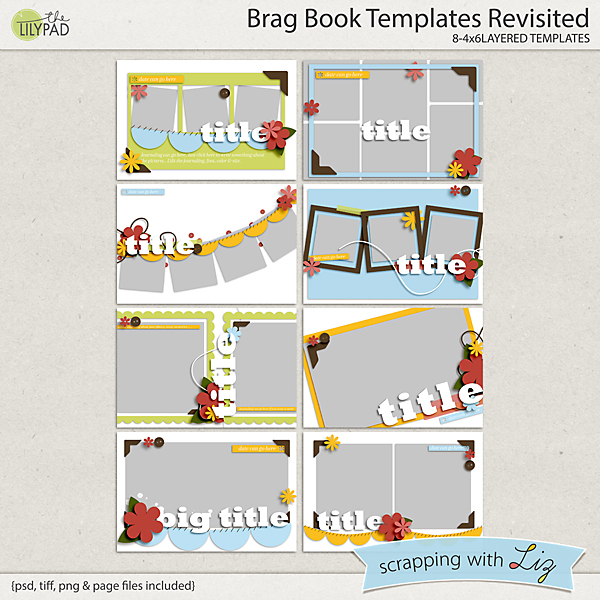 Brag Book Templates Revisited is a set of 4x6 inch designs for making a little scrapbook project, making cards, or for pocket scrapping. 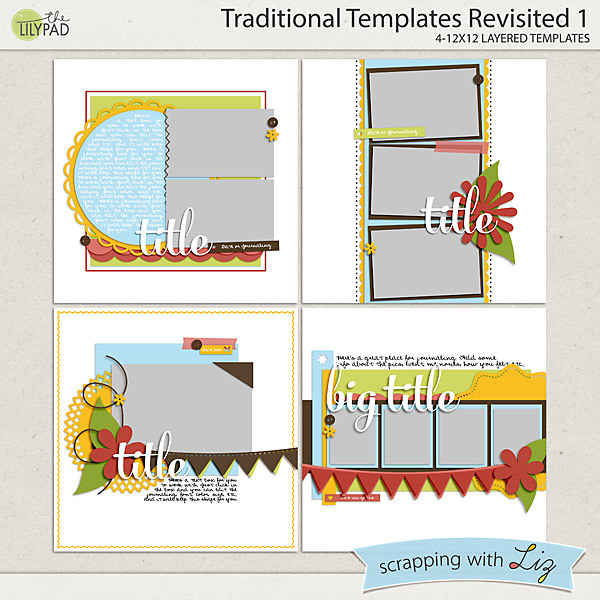 And Card Templates is a set of 5x7 inch designs for thank you cards and more. Christine has been busy scrapping! 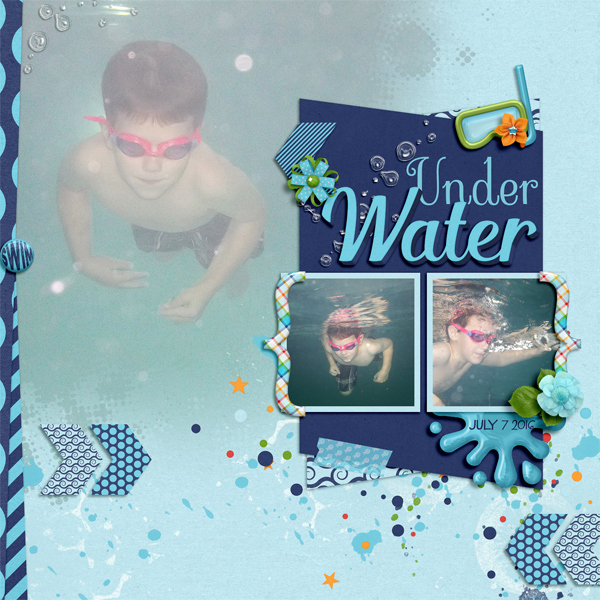 Here is a swimming page with Focal Point Templates 2. That large underwater photo is perfect for the faded mask. 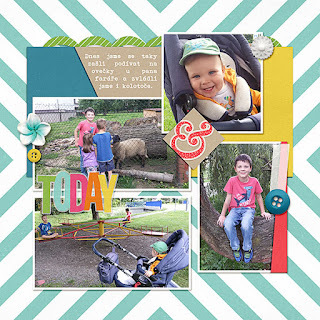 And here is a fun and adorable card made with Brag Book Templates Revisited. 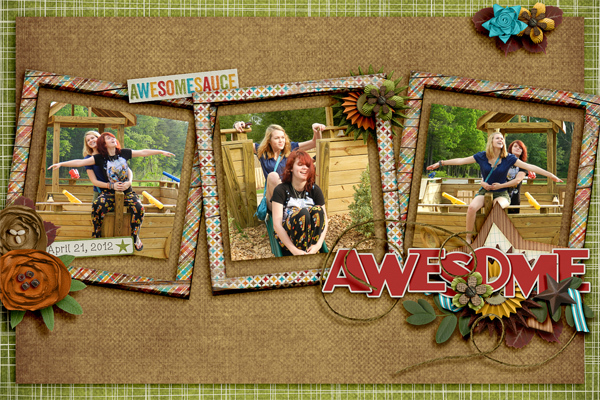 And here's a gorgeous card from Amber using my Card Templates. It's been a few weeks, but I'm finally back with a highlight for you all. The SwL Gallery wasn't working properly, and I couldn't get to your beautiful pages. All is fixed now though! Today's highlight is brought to you by Denise. The cutie pie picture drew me in, but I also love that wood background with the painted footprints, and those beautifully patterned pastel pages for the edges just go great with that wood colored paper. And what a blessing that little baby boy is! I'll be back next Monday with another highlight! 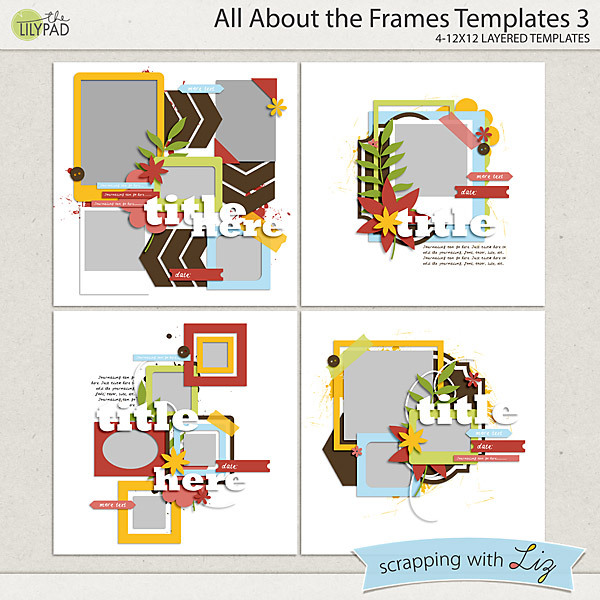 Today Liz has new releases in all of her monthly project lines. There are a lot, so I will get right to them. They are all 20% off through July 24, 2016. 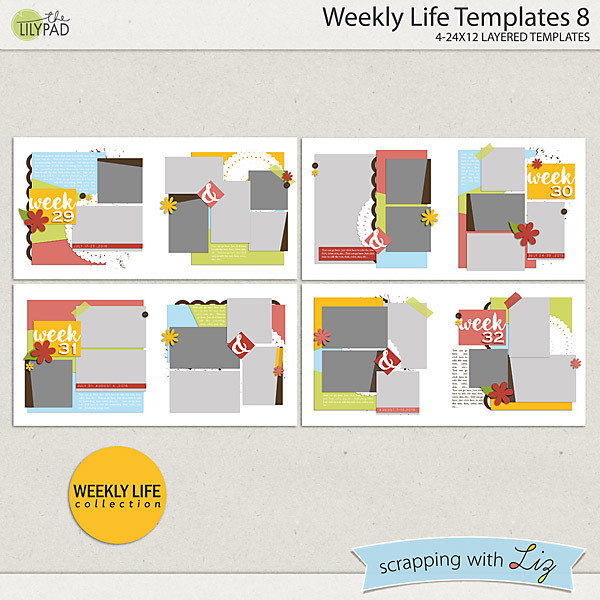 Weekly Life Templates 8 has four new weekly spreads for scrapping your daily life. 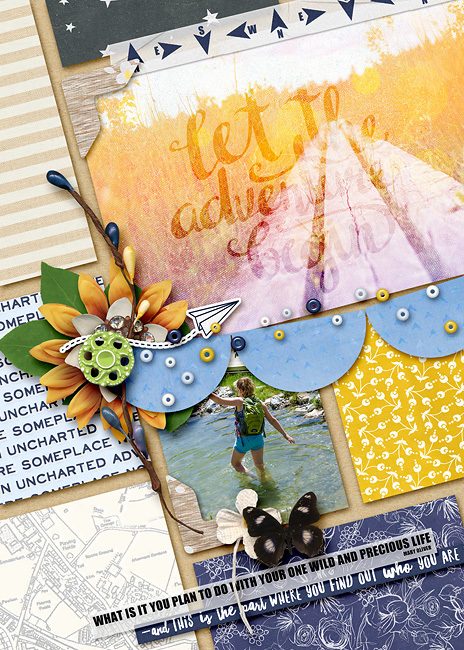 This line has paper pieces in the background and some fun spots for doilies. 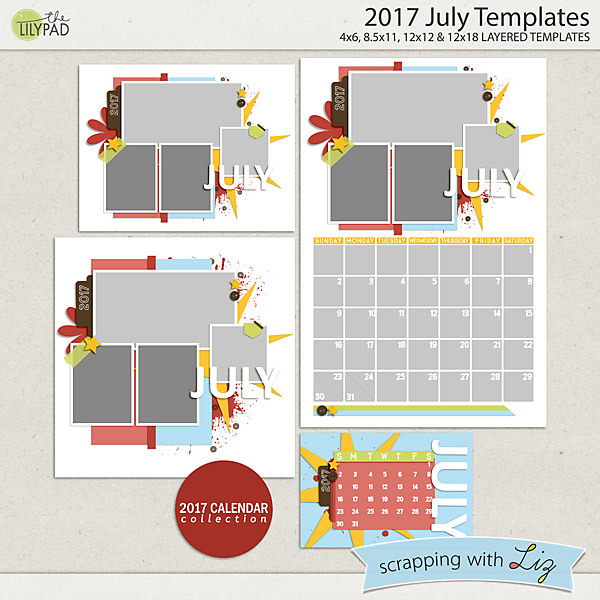 2017 July Templates has a set of July calendars: different sizes and formats for all your needs. 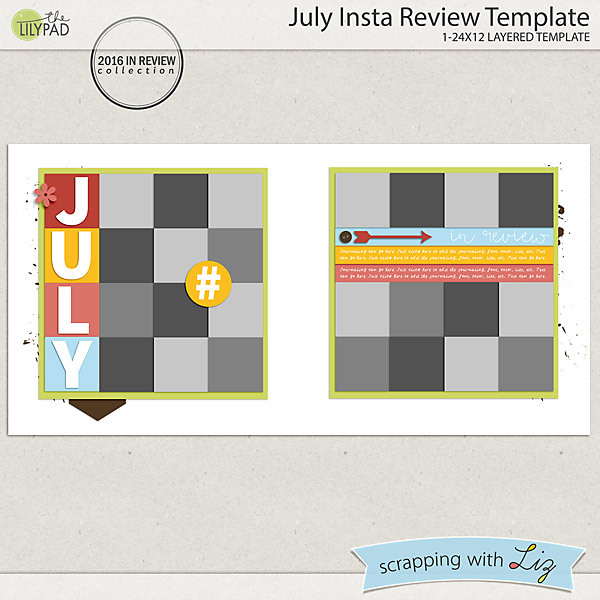 July Insta Review Template is a spread with 24 small square picture spots for your phone snapshots. 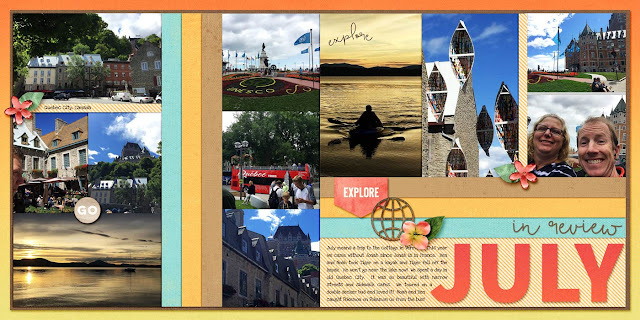 I love the journaling on the two paper strips. 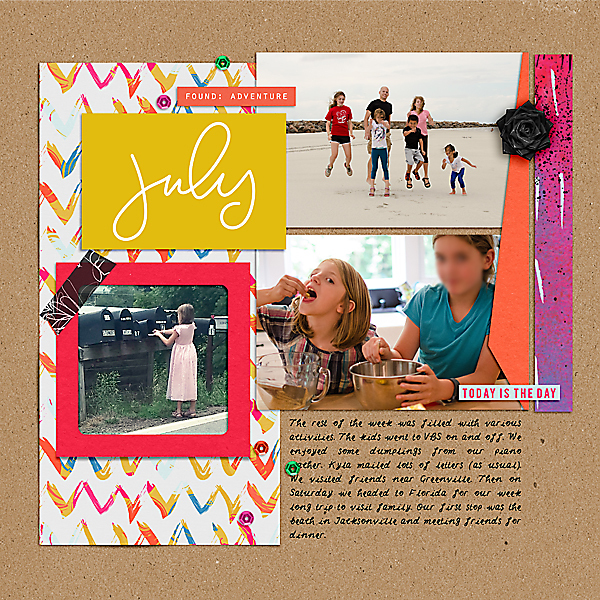 July Month in Review Template is a spread with lots of photos for a complete look at your month. Now it's time for some inspiration! 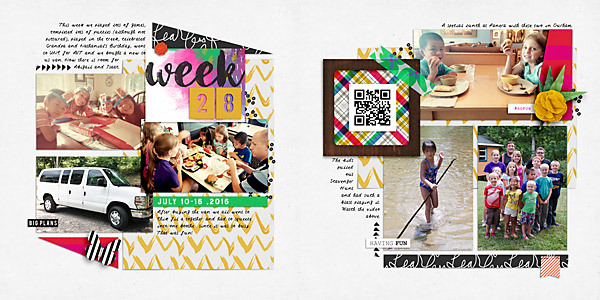 First, Dagi scrapped an outing with Weekly Life Templates 8. 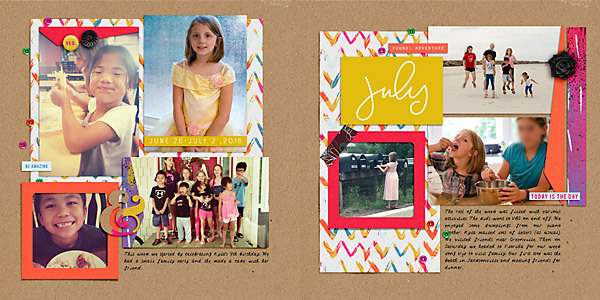 Cindi made a beautiful July memory page with July Month in Review Template. 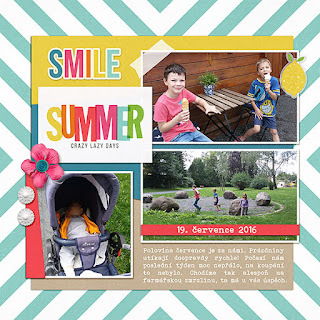 And Christine made a small calendar card for her 2017 project. 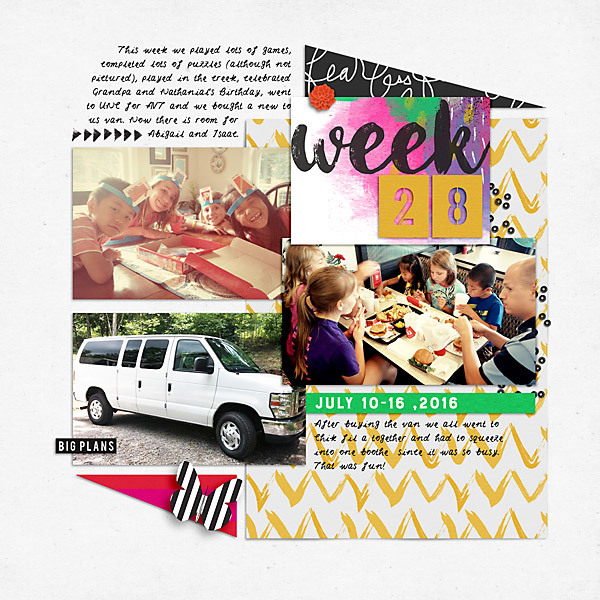 This week we played LOTS of games, put together lots of puzzles, made a trip to Durham for audio verbal therapy, played in the creek, celebrated two birthdays, bought a new to us van, the school work was minimal and we just had a good ol' time. I had to re-work this template a bit as my pictures didn't quite fit on it, but I think I made it work. I'm loving the whites with the pops of color. What was your week like? Are you ready for summer to be over and get back to a regular routine...I think I am! We spent week 27 in Florida visiting family. We had so much fun visiting, swimming, watching fireworks, eating... It was a fun week. I think I've captured that on my page. So many great memories captured and preserved. 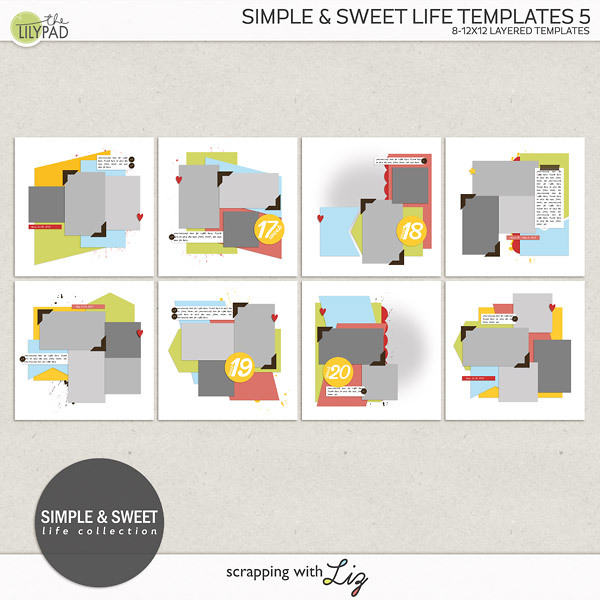 Today I am releasing two updated versions of some old favorites (they are new to The Lilypad). 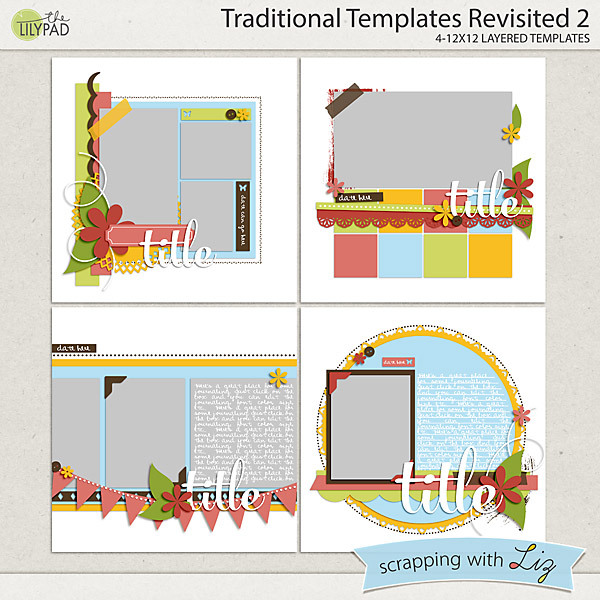 My Revisited templates are older or retired templates that I've spruced up a little bit to make them feel a bit more fresh and modern, but the basic page design is the same as the original. 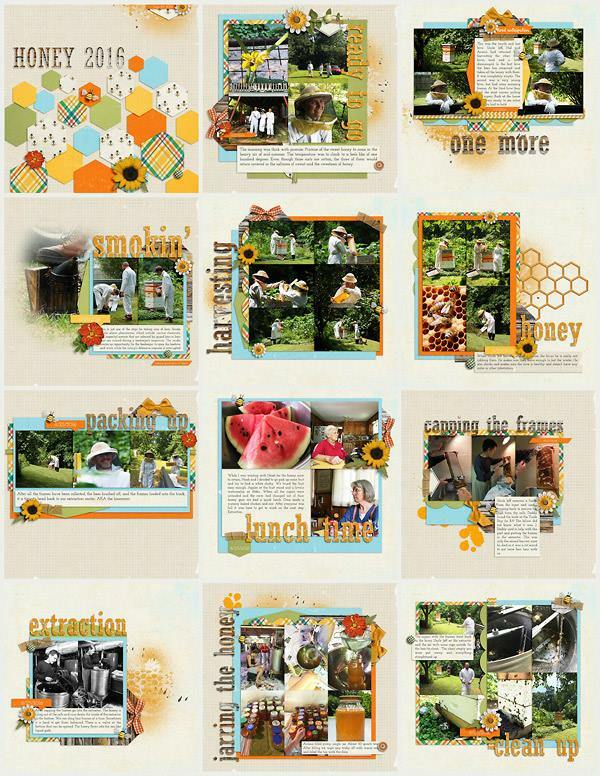 Traditional Templates Revisited 1 and Traditional Templates Revisited 2 are inspired by paper designs: with clean centered layouts, medium sized photos, and paper matting and scallops. Enjoy the 50% SOSN discount on these products today only, July 13, 2016. 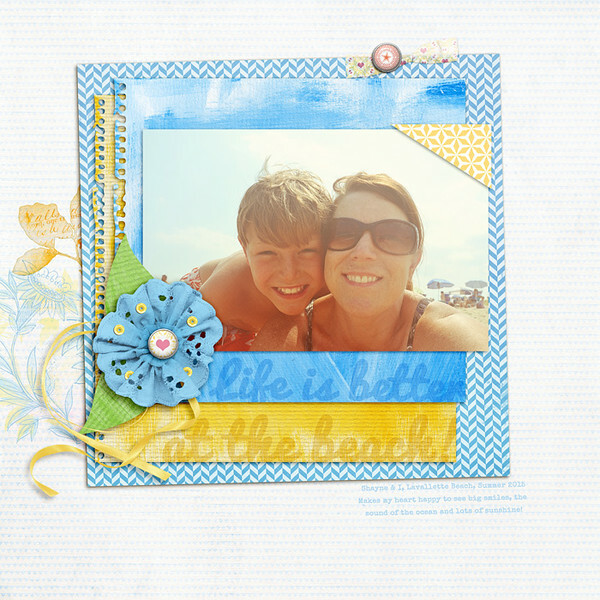 Jean scrapped with Traditional Templates Revisited 1 for a clean and simple page with a stunning photo. 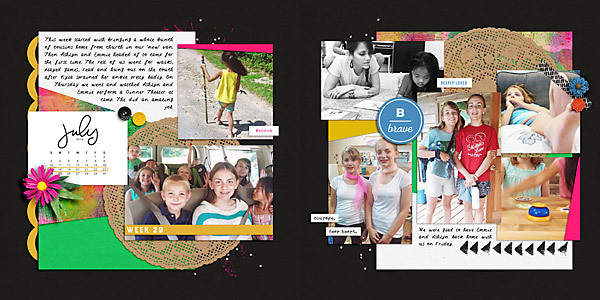 And Ellen scrapped this gorgeous page with Traditional Templates 2. 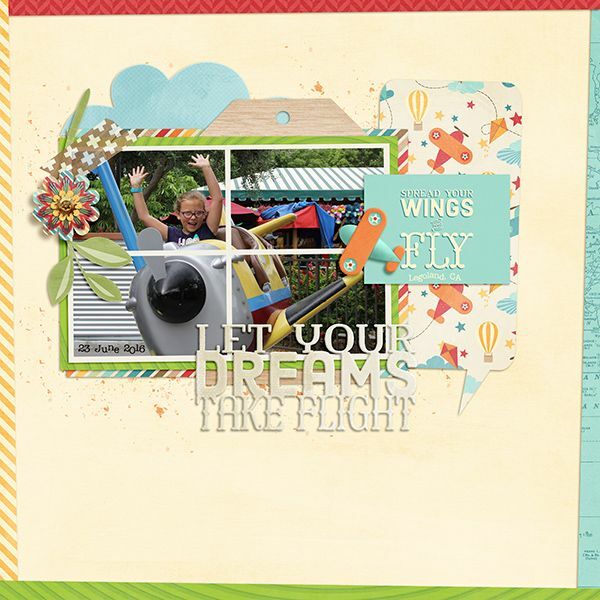 Liz's new release today is a multi-customer request! A few weeks ago Liz posted a poll in the SwL Facebook group, asking what kind of new products customers want most. The answer: Simple and Sweet Albums! 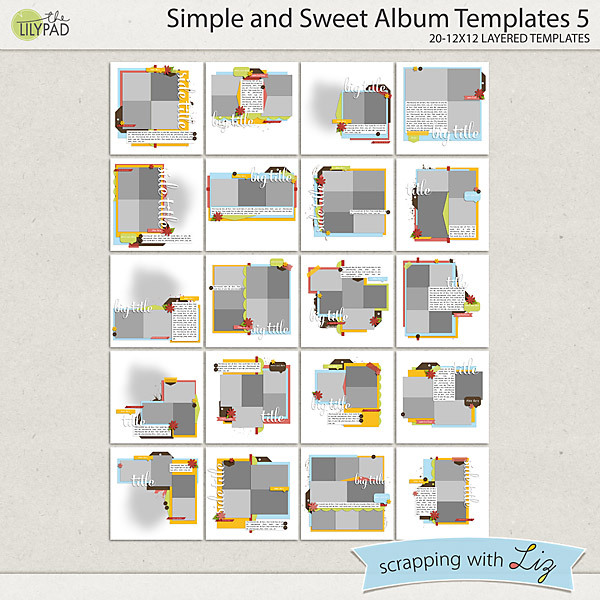 So today, Simple and Sweet Album Templates 5 hits the store, and it is 20% off through Sunday, July 10, 2016. Amanda has already been busy making an album! Other team members have used the set as a stash for stand alone pages. Rebecca used one of the templates with a faded mask. 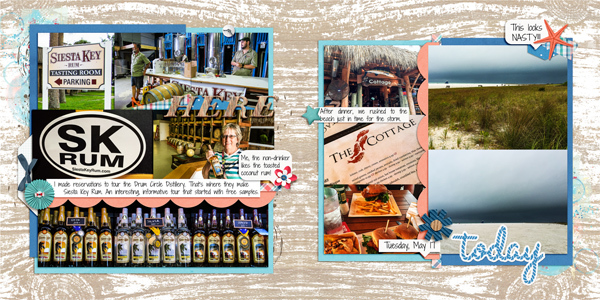 Donna put two templates together for a vacation double page. 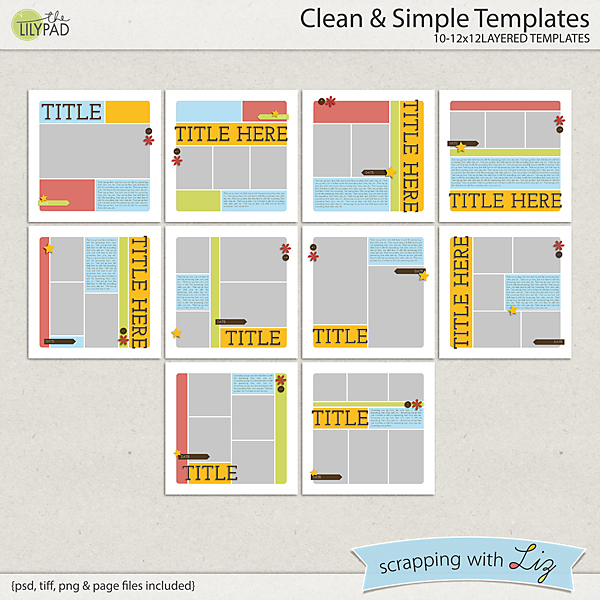 These templates will be a great addition to your stash! This week started out with celebrating a little girl's birthday and ended with our first day of vacation (aka: visiting family). There were lots of fun things in between, and since we are on vacation this week that's all I'm going to type up. Off to spend some time with family and soaking up this Florida sun. Today I have a couple of oldies-but-goodies for you. Enjoy the 50% SOSN discount on these products today only, July 6, 2016. 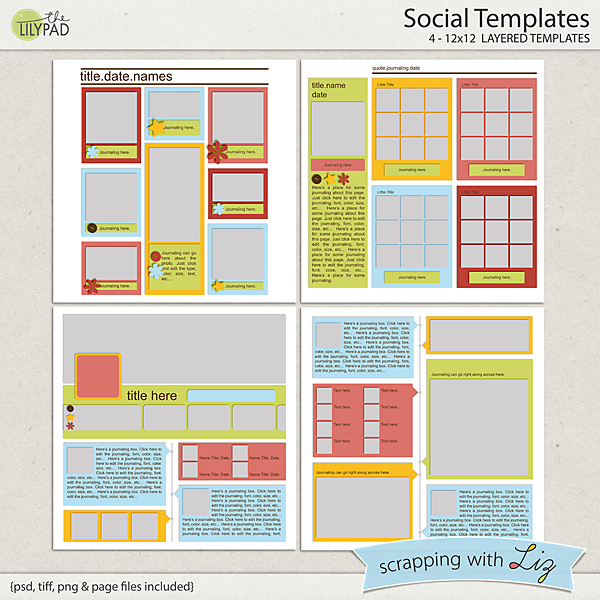 Social Templates are a really fun set of multi-photo designs, inspired by the organization of social networking sites. They are a little bit info-graphic and a little bit timeline-ish. 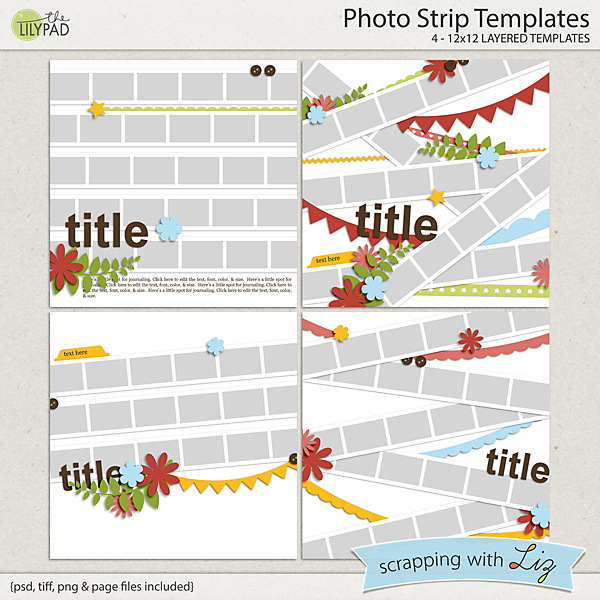 Photo Strip Templates are multi-photo designs with lots (up to about 30) of little picture spots in strips. These are perfect for scrapping lots of photos. Here is a "travel log" page I made with Social Templates. 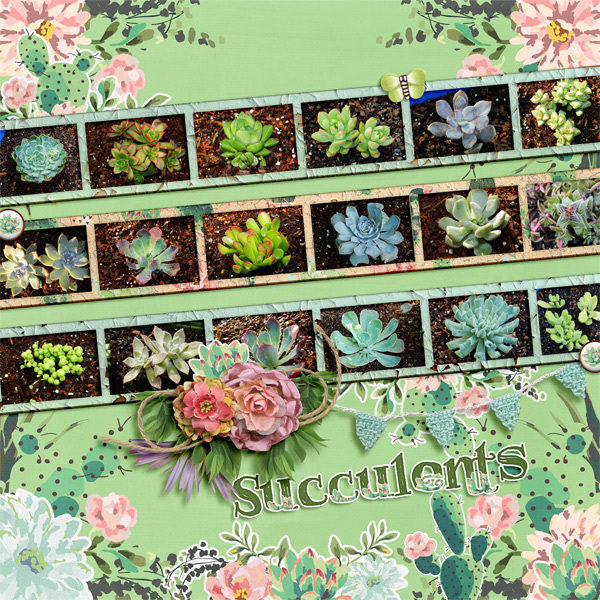 Here is a page Christine made, with photographs of her plants, using Photo Strip Templates. 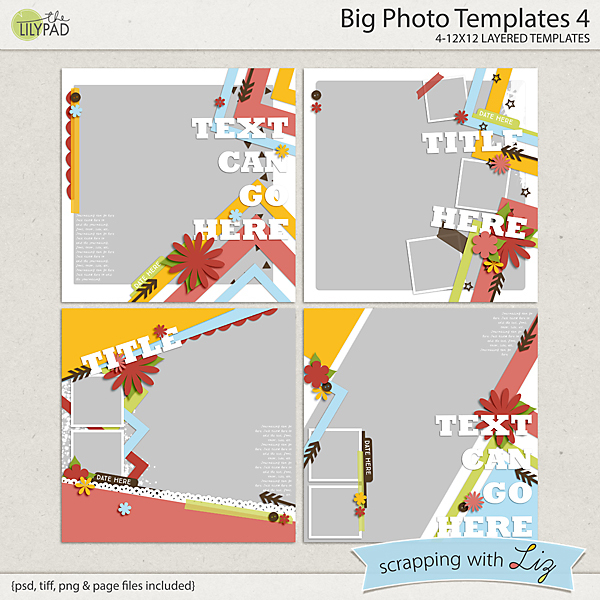 Get these templates at 50% off while you can! 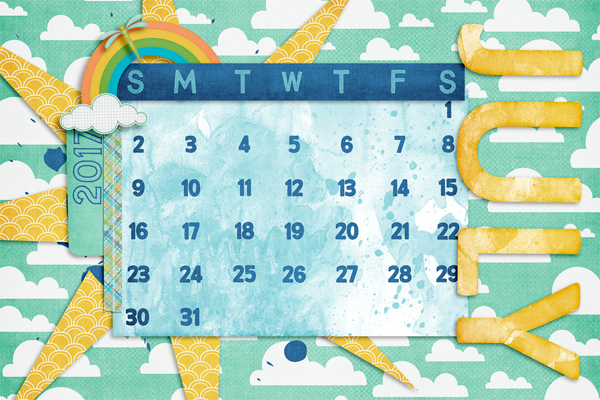 This month brings with it a minor change. 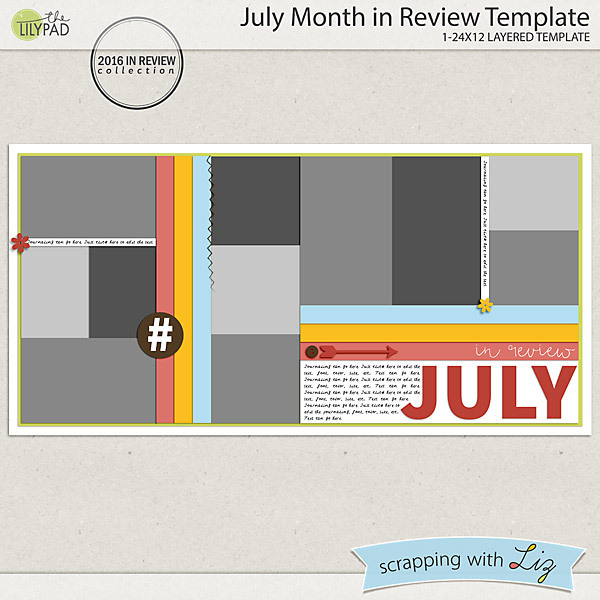 We're changing up how scrappers submit their layouts for the monthly challenge. In an effort to make it easier for everyone, you'll submit your layout by sending an email which includes a link to your submission. Liz and I both hope this will be a positive change for everyone, but especially those scrappers who prefer to not share a link to their layouts online. I'll be sure to give you a detailed list of instructions, but before we do that let's get to my favorite part: the template! Donna used the photo spots for four separate photos and I took the approach of using one photo divided among the four spots. Neither of us rotated the template but I bet it'd be fabulous if you chose that route. Show us what you've got! Include the challenge month for your submission on the subject line: this month, you'll use "July Challenge"
Please don't hesitate to send an email if you have any questions or need assistance. I promise, as always, to never share you email with anyone other than Liz. Please use this email for blog challenge submissions and questions only. It is not monitored for general customer service issues. Winning and participation coupons will arrive via email within the next 10-ish days. 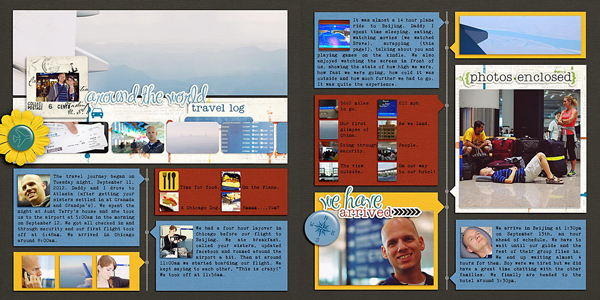 Use the featured template (above) to create a digital or hybrid layout/project. Feel free to modify the template but be certain we can still recognize it as a version of the original. 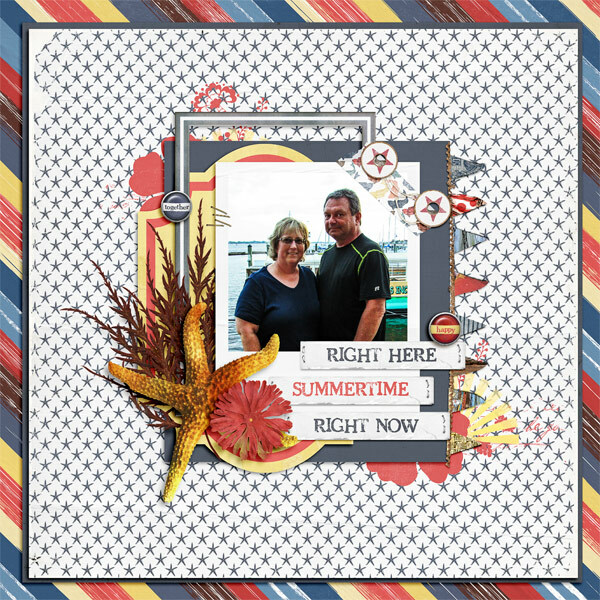 Upload your completed layout to a gallery or photo sharing sit of your choice. Entries must be received by 11:59 pm on the last day of the challenge month to be considered for the monthly give away. Any emails received after the submission deadline will be disqualified.